The Economist, in its 2010 article Is Glenn Beck's populism terrifying? calls the Right-Wing broadcaster a "veteran pothead" who "has even toyed publicly with legalising grass." 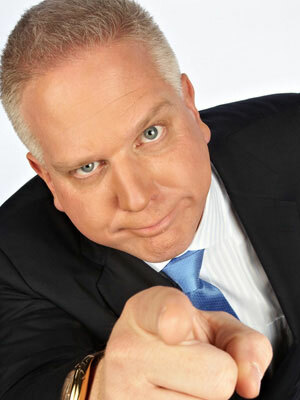 Salon's 2009 profile of Beck notes, "Glenn Beck spent most of his childhood in Mount Vernon, Wash.... Mount Vernon is known as something of a party town. Much of the nation's best marijuana comes down through nearby British Columbia, some of it on fishing boats. Before the B.C. trade matured, Mount Vernon and the surrounding area was known for its bountiful high-grade local marijuana harvests. After he got clean in the mid-'90s, Beck would claim that he'd gotten high every day for 15 years, starting at age 16." The Washington Post wrote in 2007, "He is not just a recovering alcoholic ("two glasses a day -- but tall glasses, and all Jack Daniel's") and not just a former pothead ("every day for 15 years"). He is a recovering jerk." In July 2018, Beck tweeted: "The ONLY reason marijuana is illegal, is because of the 21st amendment. When the 18th was passed the Feds needed an army of agents. When the 21st repealed prohibition, instead of firing them, they made pot illegal."